Delivered collaboratively by four top business schools, the TiasNimbas International Executive MBA (IMM) offers unparalleled global learning. The EMBA offers maximum career impact, with minimum career and lifestyle disruption. TiasNimbas's International Executive MBA (IMM) is a global, high-impact alternative to the traditional EMBA, specifically formulated for working executives seeking a masters degree in management. In order to fit into your busy schedule, the IMM has been designed with instructional learning concentrated into global residential sessions instead of bi-weekly classes. With global classmates, residencies, teaching faculty, case studies, the IMM really is one of the most International EMBA Programmes in the world. Additionally, the IMM has been consistently ranked in the European top 20 for the last years, and is leading in the following domains: career progress, international student rank, international course experience, and faculty with doctorates. The IMM is delivered by professional academics with vast experience in business or consulting; and the participants are high-achieving executives from different world regions, industries, and functions - allowing students tolearn from both. The EMBA (IMM) is your opportunity to move your career to that next level – a level that could span functions, even borders. And by graduating with an American and a European MBA, you couldn’t be better prepared. EMBA (IMM) participants are ready to take their career to the next level. They’ll help take yours in the process - by sharing their knowledge, enriching your network. Comprising high-achieving executives from all over the world, the International Executive MBA (IMM) classroom is a global environment unmatched by even the world's most international companies. To be eligible for the International Executive MBA (IMM) programme, we require the following for admittance to our programme. GMAT score if submitted to enhance application materials. The fees for the TiasNimbas International Executive MBA (IMM) are €55,000. Tuition fees are established jointly by the cooperating schools and payable in five equal instalments. This cost is comprehensive in nature. It covers your books and course materials, all instructional services, institutional costs, your lodging, and most meals during the residential sessions in the US, The Netherlands, Hungary, Germany and Asia. Only travel costs to the sessions are your own responsibility. The International Executive MBA is one of the best investments you could make. But what is the smartest way of financing your International Executive MBA? Most of the time, the employers of our participants pay for at least part of the expense of their MBA. If your employer contributes to the costs of your International Executive MBA, they are able to deduct these costs as a genuine business expense from the chargeable gains. A good portion of our participants also fund the programme themselves. If you choose to do this, a substantial part of the costs are compensated by the tax authorities. To cover the costs of the programme you can apply for a loan to (partly) finance your studies, either at your own bank, or via the TiasNimbas Loan. On completion of the TiasNimbas International Executive MBA (IMM) delegates gain a global network of knowledgeable, experienced and successful business professionals. Alumni of the International Executive MBA (IMM) can be found living and working in almost any country in the world, in almost any industry – making their mark. At TiasNimbas Business School we understand the importance of social (business) networks. Today, there are nearly 11,000 alumni in more than 75 countries. Our alumni network is considered one of the fastest growing worldwide business school associations. 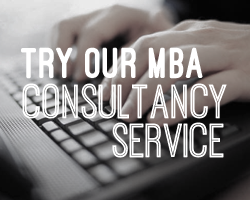 Fill out your details to find out more about Executive International MBA (IMM).